Land for Tomorrow thanks the General Assembly for continuing to fund the Clean Water Management Trust Fund, Parks & Recreation Trust Fund, and Agricultural Development & Farmland Preservation Trust Fund in the Appropriations Act of 2017. However, Land for Tomorrow is concerned that in a year of budget surplus, the General Assembly is appropriating fewer dollars for conservation, which more than 70 percent of North Carolinians broadly support. The Clean Water Management Trust Fund (CWMTF) and Parks & Recreation Trust Fund (PARTF) are both appropriated fewer dollars in 2017 than in 2016. While the budget does increase funding for the Agricultural Development & Farmland Preservation Trust Fund, the funding levels are inadequate to match US Department of Defense funds to protect our military bases from encroachment and to match US Department of Agriculture funds to protect and restore farmland in Western North Carolina and the Piedmont, where development pressures are the greatest. The General Assembly appropriated $22.4 million to CWMTF in 2016-17 and is appropriating $18.3 million in 2017-18 (a 18% decrease). The General Assembly appropriated $22.7 million to PARTF in 2016-17 and $19.7 million in 2017-18 (a 13% decrease). Land for Tomorrow will continue to work with legislative leaders to protect and restore water quality, preserve family farms that produce local and fresh food, to maintain the training mission of our military bases, and to support the $28 billion outdoor recreation industry in NC. 135 local governments, conservation organizations, and state agencies requested nearly $68 million from CWMTF in 2017. Those organizations would provide almost $165 million in matching funds, more than doubling the state’s investment. Sixty-four local governments requested $19 million from PARTF in 2017 and provided $51 million in matching funds, matched nearly three times. Earlier this year, the US Department of Defense awarded NC a nearly $10 million Readiness and Environmental Protection Integration (REPI) Challenge Grant. The State has to match these funds dollar for dollar or they cannot be used in North Carolina. 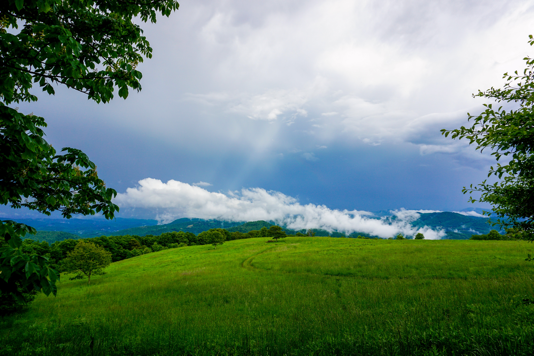 Also earlier this year the US Department of Agriculture awarded Blue Ridge Forever, a coalition of the 10 land trusts in Western North Carolina, $8 million to protect and restore farmland in Western North Carolina. These funds must also be matched by state and private funds. Land for Tomorrow will continue to work with legislators in the 2018 Short Session to improve funding levels for the trust funds to adequately meet the demand of conservation projects that benefit North Carolina communities and citizens.